Portland Rock Gym has been providing the Pacific Northwest with the best indoor climbing instruction since 1988. That training is also available outside, bringing together unparalleled education and a memorable adventure. PRG Guides offers clients full or half day adventures to beautiful local climbing destinations in the Columbia River Gorge, as well as world class climbing at Smith Rock State Park – the birthplace of sport climbing in the US. Get outside for one on one instruction or gather a group of friends together for an unforgettable experience. First-time climbers and seasoned veterans alike can climb more challenging routes, improve existing skills, and create new ones! Perfect for the first time climber. Participants will head to a local climbing area for four hours and climb with a PRG, AMGA SPI certified instructor. It’s a great way to gain outdoor climbing experience in a fun and supportive environment. Six spaces available. Advance reservation required. All participants will meet at specified crag parking lot. Tuesday and Saturday go to Broughton Bluff. Participants must be at least 12 years of age. Thursday and Sunday go to Carver Cliff. Participants must be at least 18 years of age. Join PRG staff for a half-day of bouldering at local areas around Portland. We provide bouldering pads, spotting techniques, and instructional pad movement while a climber is ascending rock. No experience necessary, however, we recommend participants climb at least V2 in the Gym. Times: Third Sunday of the Month: 10AM-2PM. Eight spaces available. Advance reservation required. All participants will meet at specified crag parking lot. Participants must be at least 12 years of age. Participants must be at least 18 years of age. For those with little or no lead experience. Novice Outdoor Lead is a comprehensive 2-day clinic covering lead climbing and belaying, anchor cleaning / rappelling, risk management, top-rope following and the many nuances of outdoor climbing. Participants must have their permanent top-rope belay certification (yellow card) or have been belaying for at least 6 months. For those who already have their PRG Lead Card but limited or no outdoor lead experience. Advanced Outdoor Lead is a comprehensive full day outdoor clinic covering anchor cleaning / rappelling, risk management, top-rope following and the many nuances of outdoor leading. Participants must have their permanent lead belay certification (green card). Advance reservation required. These courses can also be booked as a private day of instruction to better accommodate individual schedules. This one day clinic is half indoors and half outdoors. Participants will learn the techniques necessary to safely and efficiently clean sport anchors and set up rappells. Click on the "Sign Up Now" button below to see current class dates and availability. Advance reservation required. This course can also be booked as a private day of instruction to better accommodate individual schedules. In this two-day course, participants will learn gear placement for active and passive protection, gear selection, trad anchor building, route finding skills, rope efficiency and risk management. Participants need to be lead certified and very comfortable leading 5.9 in the gym. 1:4 guide to client ratio. Highly trained and experienced AMGA certified instructors. Shoes can be provided but participants should go by the gym to try them on and get the correct size before hand. A fantastic and memorable outing! Participants are required to fill out a waiver prior to participating. Looking to spend a half or full day exploring a local climbing area with a professional guide? There are so many wonderful areas within an hour of Portland, some even as close as 20 minutes away from downtown. We will keep a 1:6 ratio of guide to client. Guides will meet the clients at the climbing area. If the weather is too adverse to climb, we will first try to change the venue. If that is not possible, we will try to reschedule free of charge. If a reschedule is not possible then the amount paid will be returned. Check out these day trips we’ve put together for your enjoyment. Contact us at guiding@portlandrockgym.com for booking and more information. Beacon Rock is the premiere climbing destination in the Columbia River Gorge National Scenic Area throughout summer and early fall. At just over 800 feet in height, The Beacon stands proud as North America’s tallest free standing Monolith! With up to seven pitches of vertical rock, ranging from 5.5 to 5.7 in difficulty, and totaling over six hundred feet of climbing, the SE Face route is a must do for any climber visiting the Portland area. *Each route listed involves 5 to 7 pitches of technical rock climbing and will generally require a full 8 hour day to complete and return to the cars. 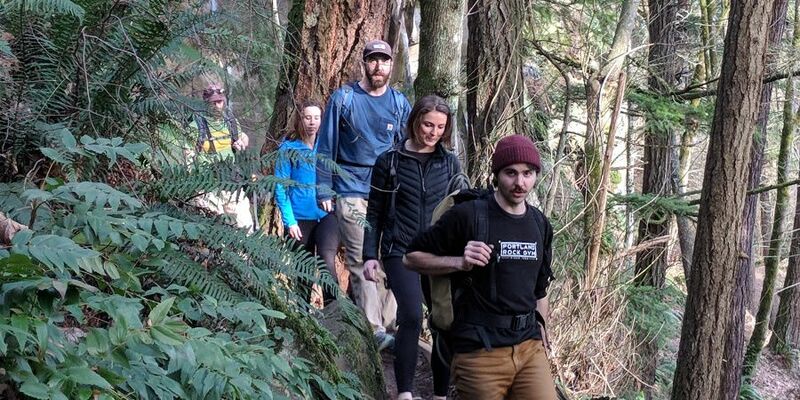 Perfect For: The intermediate to advanced level climber looking to experience a day of adventure climbing high off the ground in the heart the the Columbia River Gorge. Two climbers max. Nestled high on the hillside above the majestic Clackamas River, Carver Bridge Cliff serves as an easy escape for those looking to try outdoor rock climbing for the first time. The rock, located in a beautifully lush and overgrown forest, is home to a good deal of beginner friendly climbing amid tranquil surroundings. Perfect For: Beginner and Intermediate climbers interested in a low commitment, yet fun filled half-day excursion from the city. Rooster Rock is a towering 150 foot basalt monolith situated 30 minutes from downtown Portland at the mouth of the breathtaking Columbia River Gorge National Scenic Area. 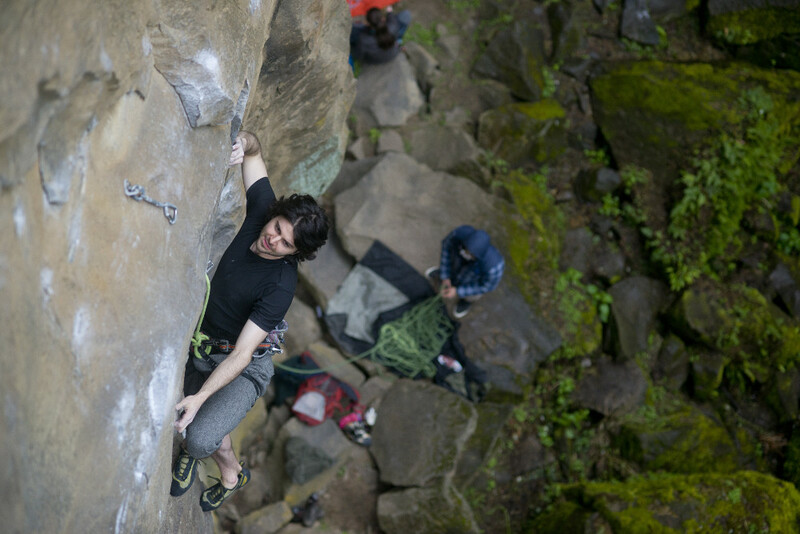 Though typically known simply as the namesake of the state park it inhabits, Rooster Rock is home to one of the premier hidden gems of Columbia River Gorge rock climbing. The phenomenal views and easy, well protected climbing make this a definite must for those seeking a beginner friendly outdoor climbing adventure! Perfect For: Beginner climbers interested in a low commitment, yet fun filled half-day excursion from the city. 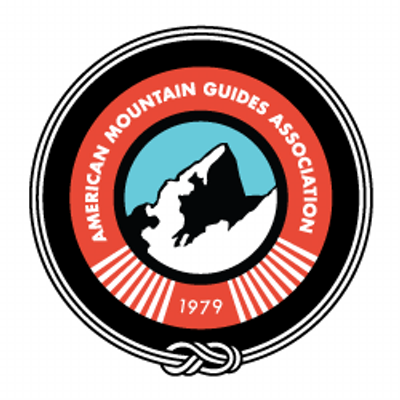 Portland Rock Gym Guides is committed to maintaining the most current training and certification industry standards of the American Mountain Guide Association (AMGA).